The blade is on a reverse thread, therefore you need to unscrew it opposite to normal screws. This means that you need to hold the blade at the top and the rubber gear at the bottom, turn them Clockwise to unscrew. 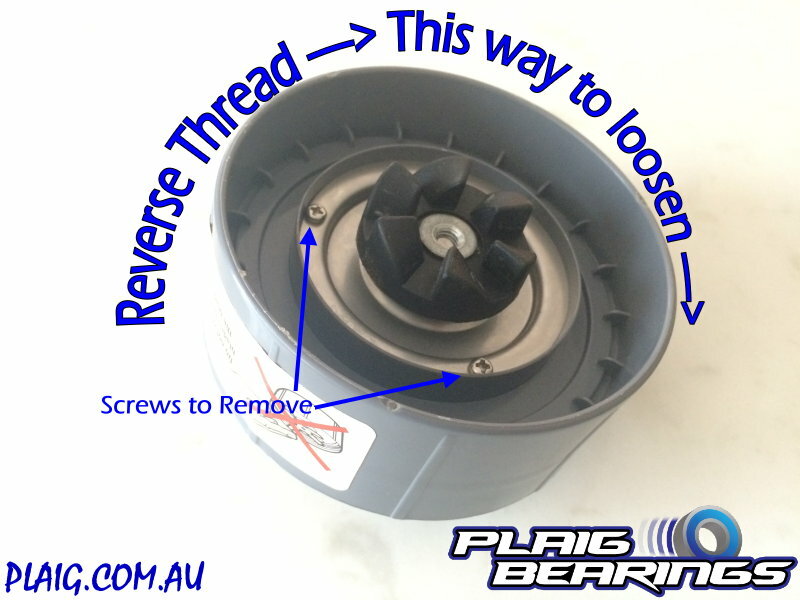 This can be simple if the Nutribullet is still fairly new, if it is older then it may need some force so be careful not to cut yourself, I used vice grips to hold the rubber gear and a cloth over the blades and it came apart very easily. See the pictures below to help demonstrate. 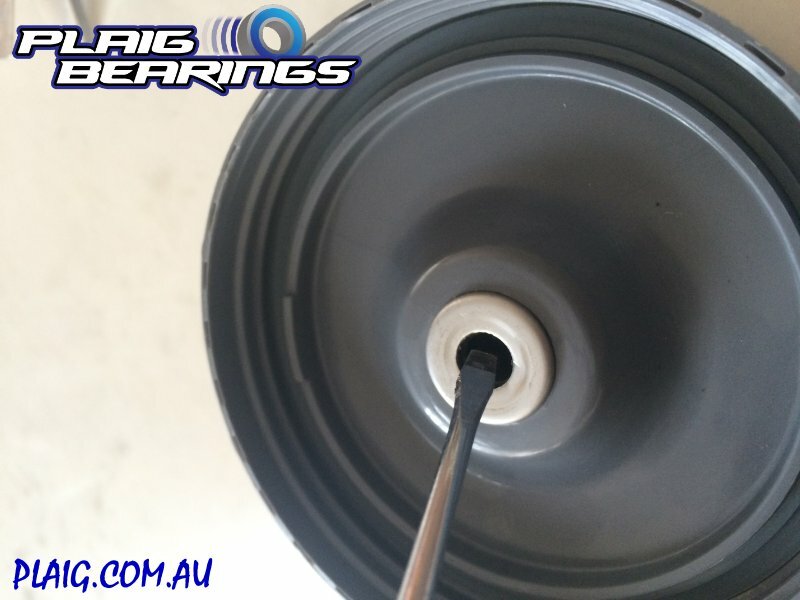 Once it has been unscrewed you can easily remove the blade and rubber gear. Take note that there will be a plastic washer that goes back under the blade and the copper washer will go under the rubber gear. There is now a metal plate that you need to remove, this has 3 screws (2 that can be seen in the picture above). Remove these screws and the plate and you should now be able to see the bearing as per the picture below. The bearings are a tight fit so you will need a small flat blade screwdriver or something similar to pop the bearings out from the back. We found that this did not need alot of force with our newer unit but it would be safe to assume that over time they may be harder to remove. Place the screwdriver so that it is touching the outer edge of the first bearing, tap the back of the handle to attempt to pop the bearings out, in our new unit it came out in 3 taps. 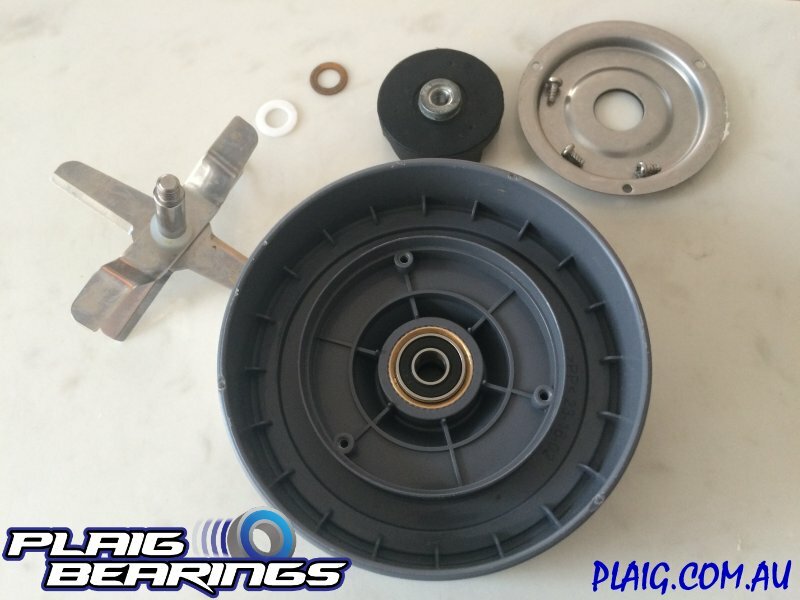 The new bearings simply slot in the place of the old ones, push them in firmly to make sure they have gone all the way inside and then screw the metal plate back on, fit the blade and washers and tighten as best as possible. 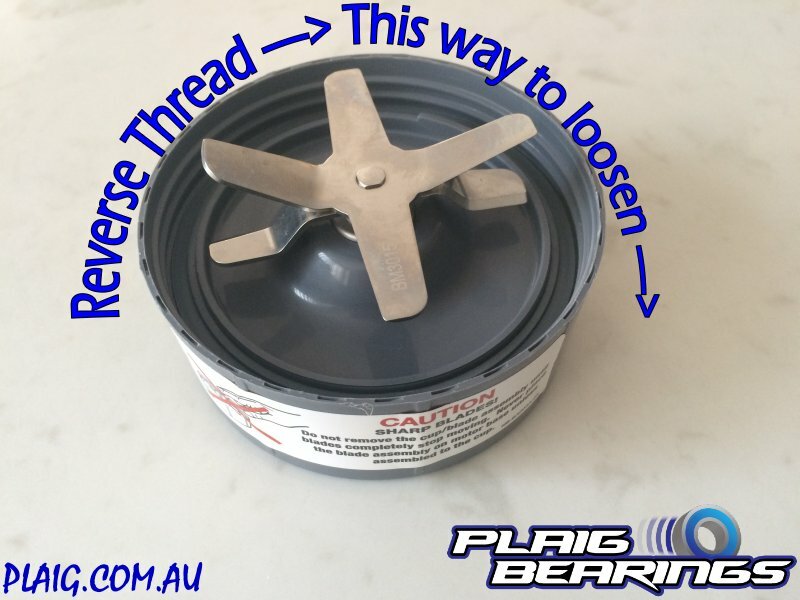 The reverse thread will actually tighten itself when the Nutri-Bullet is being used, this is why a reverse thread is handy in this situation, the blade cannot unscrew itself on use.